Farfel is a traditional Passover food and comes in different forms. This one is a bit like quiche without the crust. 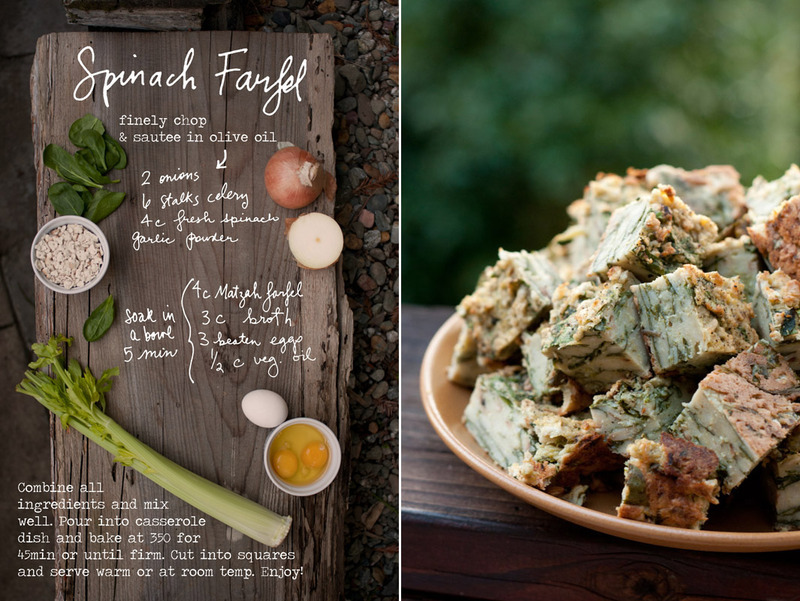 It’s made with eggs and matzah farfel (essentially broken up bits of matzah) and includes spinach for some extra nutrients and flavor. Whether you or your partner grew up celebrating Passover, this might be a new dish to both of you. 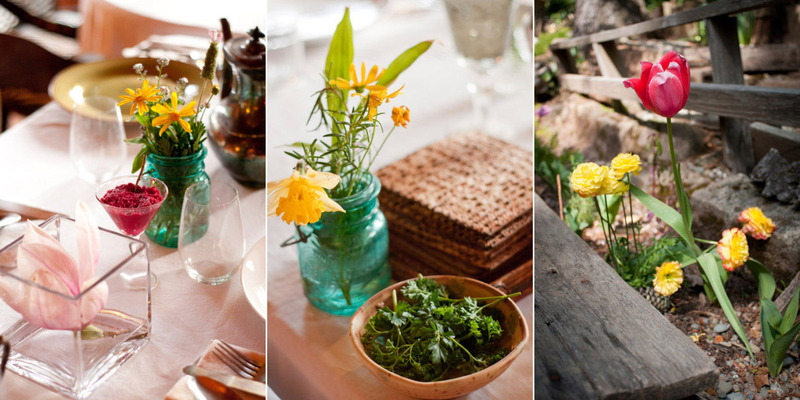 Luckily, the recipe from The Forest Feast is easy and works great for a vegetarian seder. 1. In a large bowl, beat the eggs and mix with matzah farfel, broth and vegetable oil. Let soak for 5 minutes. 2. Meanwhile, finely chop onions, celery and spinach. 3. Saute in olive oil along with the garlic powder (add more as needed). 4. Add sauteed vegetables to the bowl and mix well. Pour into a casserole dish and bake at 350°F for 45 minutes or until firm. Cut into squares and serve warm or at room temperature. This recipe is reprinted with permission from The Forest Feast.